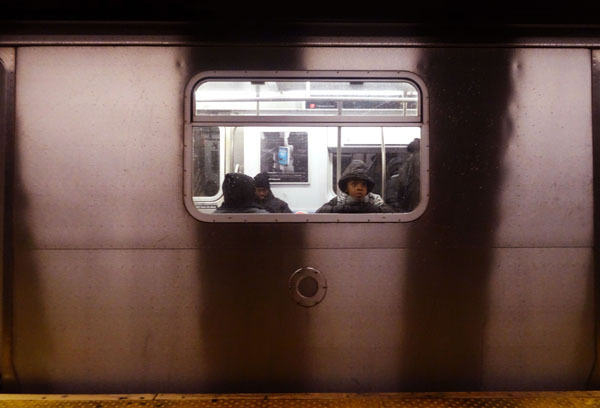 I cannot tell a lie: I too (still) press my face up to the subway window. This goes double when it is snowing. It is simply too nifty to resist.